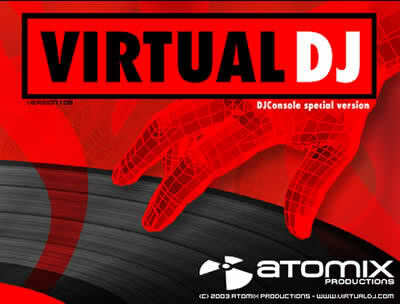 Atomix VirtualDJ features a breakthrough BeatLock engine that will keep your songs in tune and let you work your mixes incredibly faster than any other DJ. The automatic seamless loop engine and the new synchronized sampler will let you perform astounding remixes on the fly. VirtualDJ is compatible with timecoded vinyls that let you scratch your MP3s directly on a real turntable, and with many other DJ equipment. You can use several interfaces to suit both beginners and professionals, record your mixes and burn them on CD, rip DVD, rip vinyl, create your own Internet radio, automatically mix playlists, use VST effects, display karaoke, and play DRMed file. Theautomatic seamless loop engine and the brand new synchronised sampler will let you perform astounding remixes live, with no preparation at all. The visual representation and the cues allow you to clearly see the song s structure, and never be surprised by a break anymore. The vinyl controls will let you scratch like on a real turntable, except that with the beatlockengine your scratches will never end out of the beat. Add to that an infinite number of cue points you can save for each songs, a bunch of wonderful effects automatically beat-synchronised. * Breakthrough BeatLock engine: your tracks will always stay on time. Create great mixes faster than ever! * Automatic seamless loop: perform astounding remixes live with no preparation at all! * Synchronised sample machine: sample-and-play on the fly, and free your creativity! * video mix: Mix and scratch your music videos in addition to the music! * Vinyl control: Spin your MP3s from a real turntable (and still use loops and beatmatch)!